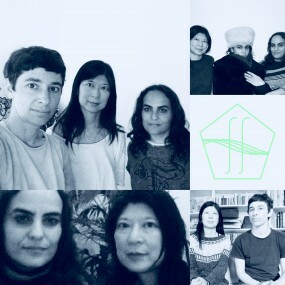 Aschka and Rona Geffen take their last electronic music trip of 2018 with great productions by fierce and talented women from around the globe. We would also like to share a very special message for the end of this year with a spirited track by Rona Geffen. Plus more music by Gudrun Gut, Femmepop, Ducks, Loli Cosmica, We will fail, Drum & Lace, Stephanie Merchak, Acronym & Kali Malone and Fuku.